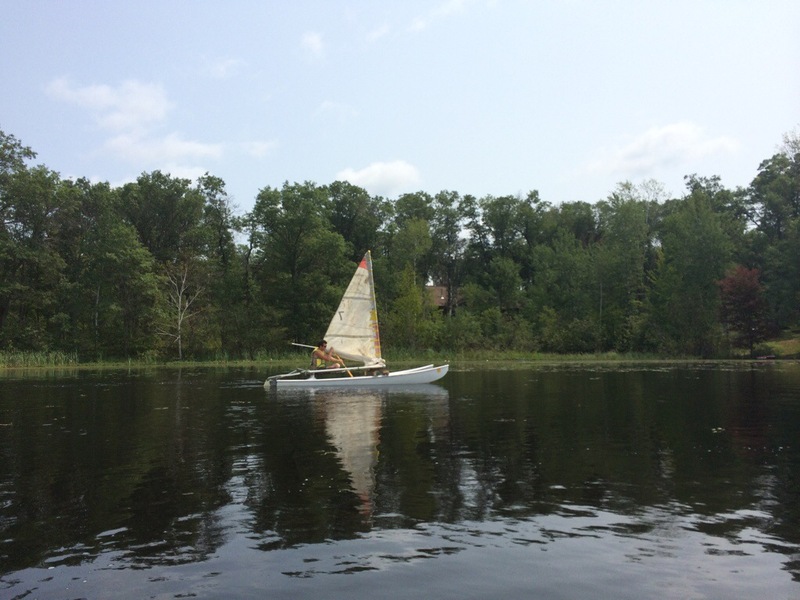 The Hobie cat sail boat has been sitting dormant under a young oak tree (who is already starting to show beautiful fall colors) since last summer when Ryan capsized it. It was a windy day. The boat was sadly destined for scrap. A few weeks ago Ryan turned it in to a fun pull behind the jet ski ride. 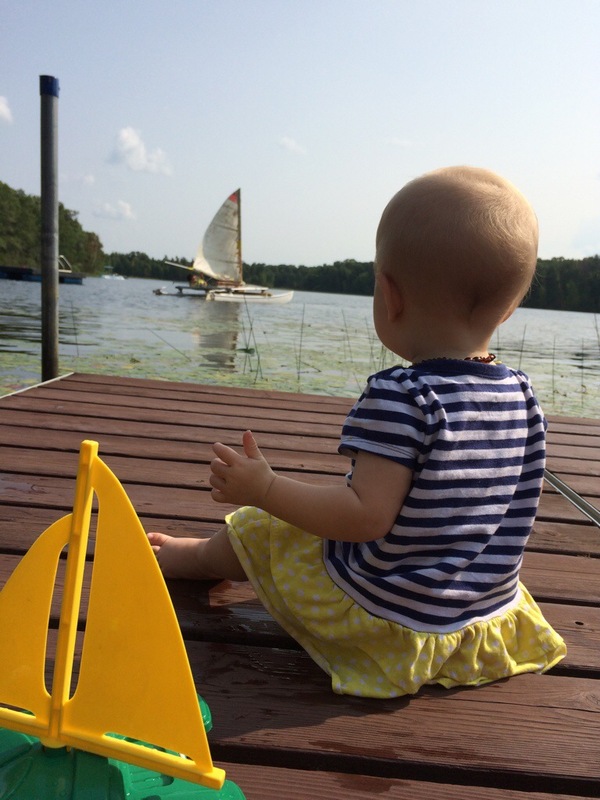 The past couple of days Ryan was yearning for a small sailboat. 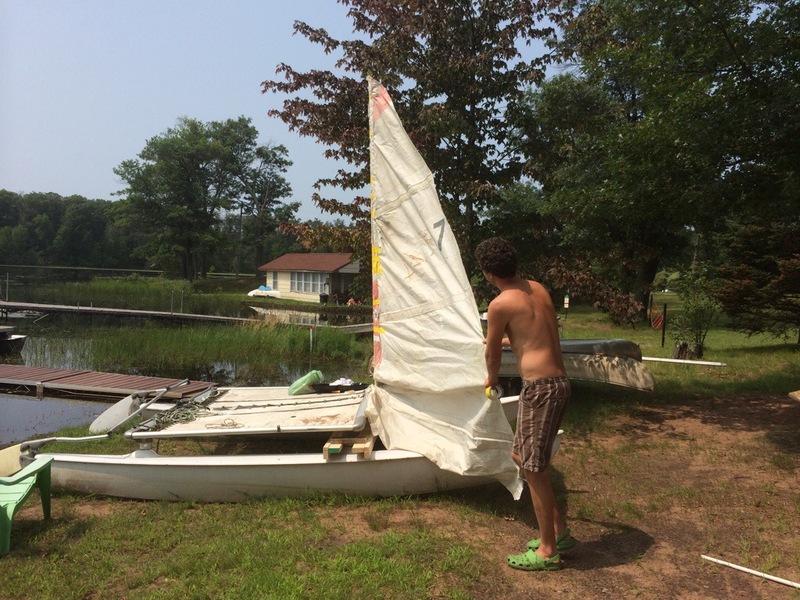 Instead of buying one Ryan came up with a plan to resurrect the Hobie and make it sail again. We went to Your Chucks hardware store in Webster. 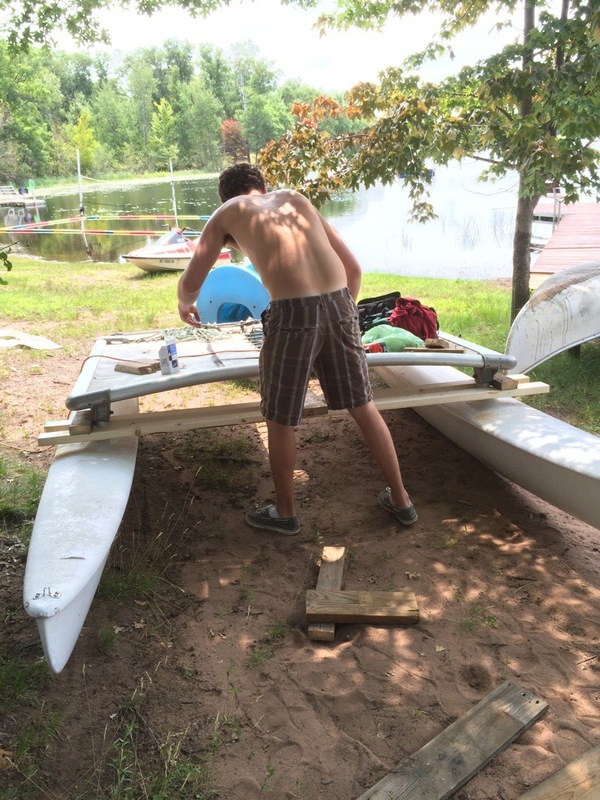 Ryan bought an assortment of supplies- some 2×4’s, box of screws, PVC pipes and a 10 foot metal pole. I bought a bird feeder and pipe cleaners. Back home the grass grew even taller as Ryan worked all day on his sailboat project not even stopping for lunch. 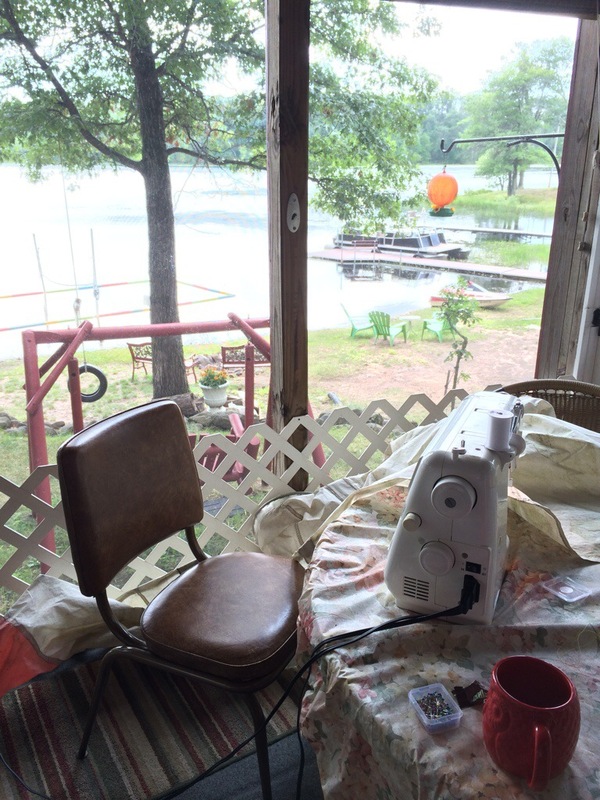 I was recruited to sew the sail. 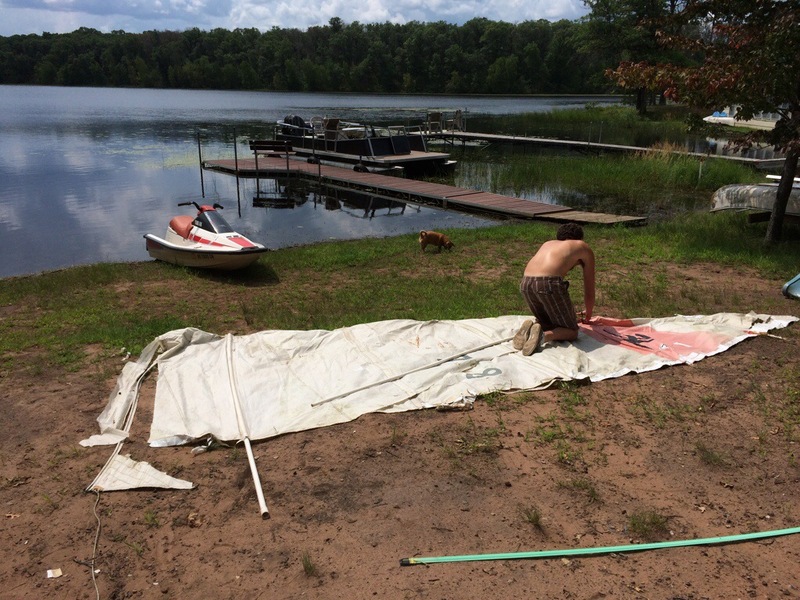 Ryan cut the old sail and I hemmed up the edge and made a pocket for the mast. Sailing the new and improved (smaller) sail. Ryan finished up his project this morning when the lake was beautifully still. He had lunch and the winds picked up and he took the sailboat out for a spin. 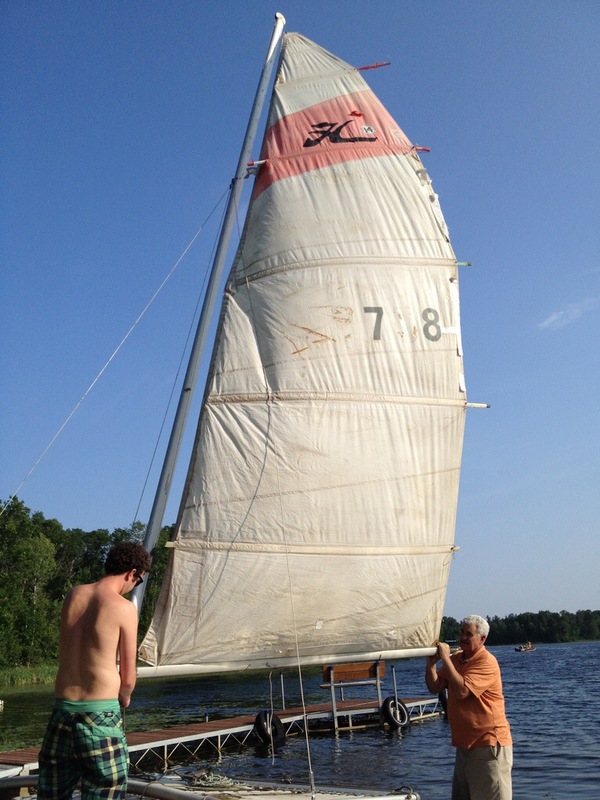 The hobie cat sails again. Sailing! I am on my way up! Next Post Eat your heart out in a pie eating contest!